Ghost imaging is an unconventional optical imaging technique that reconstructs the shape of an object by combining the measurement of two signals: one that interacted with the object, but without any spatial information; the other containing spatial information, but that never interacted with the object. Here we demonstrate that ghost imaging can be performed without ever knowing the patterns that illuminate the object, by instead using patterns correlated with them, no matter how weakly. As an experimental proof, we reconstruct the image of an object hidden behind a scattering layer using only the reflected light, which never interacts with the object. P. Sen, B. Chen, G. Garg, S. R. Marschner, M. Horowitz, M. Levoy, and H. P. A. Lensch, “Dual photography,” ACM Trans. Graph. 24, 745 (2005). R. S. Bennink, S. J. Bentley, and R. W. Boyd, “Two-photon coincidence imaging with a classical source,” Phys. Rev. Lett. 89, 113601 (2002). F. Ferri, D. Magatti, A. Gatti, M. Bache, E. Brambilla, and L. A. Lugiato, “High-resolution ghost image and ghost diffraction experiments with thermal light,” Phys. Rev. Lett. 94, 183602 (2005). R. S. Aspden, D. S. Tasca, R. W. Boyd, and M. J. Padgett, “EPR-based ghost imaging using a single-photon-sensitive camera,” New J. Phys. 15, 073032 (2013). P. Ryczkowski, M. Barbier, A. T. Friberg, J. M. Dudley, and G. Genty, “Ghost imaging in the time domain,” Nat. Photonics 10, 167–170 (2016). D. Shrekenhamer, C. M. Watts, and W. J. Padilla, “Terahertz single pixel imaging with an optically controlled dynamic spatial light modulator,” Opt. Express 21, 12507–12518 (2013). M. J. Padgett and R. W. Boyd, “An introduction to ghost imaging: quantum and classical,” Philos. Trans. R. Soc. A 375, 20160233 (2017). D. B. Phillips, M.-J. Sun, J. M. Taylor, M. P. Edgar, S. M. Barnett, G. M. Gibson, and M. J. Padgett, “Adaptive foveated single-pixel imaging with dynamic supersampling,” Sci. Adv. 3, e1601782 (2017). O. Katz, Y. Bromberg, and Y. Silberberg, “Compressive ghost imaging,” Appl. Phys. Lett. 95, 131110 (2009). P. Zerom, Z. Shi, M. N. O’Sullivan, K. W. C. Chan, M. Krogstad, J. H. Shapiro, and R. W. Boyd, “Thermal ghost imaging with averaged speckle patterns,” Phys. Rev. A 86, 063817 (2012). N. Fayard, A. Cazé, R. Pierrat, and R. Carminati, “Intensity correlations between reflected and transmitted speckle patterns,” Phys. Rev. A 92, 033827 (2015). I. Starshynov, A. M. Paniagua-Diaz, N. Fayard, A. Goetschy, R. Pierrat, R. Carminati, and J. Bertolotti, “Non-Gaussian correlations between reflected and transmitted intensity patterns emerging from opaque disordered media,” Phys. Rev. X 8, 021041 (2018). N. Fayard, A. Goetschy, R. Pierrat, and R. Carminati, “Mutual information between reflected and transmitted speckle images,” Phys. Rev. Lett. 120, 073901 (2018). N. D. Hardy and J. H. Shapiro, “Reflective ghost imaging through turbulence,” Phys. Rev. A 84, 063824 (2011). M. Bina, D. Magatti, M. Molteni, A. Gatti, L. A. Lugiato, and F. Ferri, “Backscattering differential ghost imaging in turbid media,” Phys. Rev. Lett. 110, 083901 (2013). S. Feng, C. Kane, P. A. Lee, and A. D. Stone, “Correlations and fluctuations of coherent wave transmission through disordered media,” Phys. Rev. Lett. 61, 834–837 (1988). M. J. Stephen and G. Cwilich, “Intensity correlation functions and fluctuations in light scattered from a random medium,” Phys. Rev. Lett. 59, 285–287 (1987). M. C. W. van Rossum and T. M. Nieuwenhuizen, “Multiple scattering of classical waves: microscopy, mesoscopy and diffusion,” Rev. Mod. Phys. 71, 313–371 (1999). A. U. Zyuzin and B. Z. Spivak, “Langevin description of mesoscopic fluctuations in disordered media,” JETP Lett. 66, 560–566 (1987). R. Pnini and B. Shapiro, “Fluctuations in transmission of waves through disordered slabs,” Phys. Rev. B 39, 6986–6994 (1989). M. van Albada, J. De Boer, and A. Lagendijk, “Observation of long-range intensity correlation in the transport of coherent light through a random medium,” Phys. Rev. Lett. 64, 2787–2790 (1990). A. Z. Genack, N. Garcia, and W. Polkosnik, “Long-range intensity correlation in random media,” Phys. Rev. Lett. 65, 2129–2132 (1990). J. F. de Boer, M. P. van Albada, and A. Lagendijk, “Transmission and intensity correlations in wave propagation through random media,” Phys. Rev. B 45, 658–666 (1992). D. B. Rogozkin and M. Y. Cherkasov, “Long-range intensity correlations in wave reflection from a disordered medium,” Phys. Rev. B 51, 12256–12267 (1995). L. Froufe-Perez, A. Garcia-Martin, G. Cwilich, and J. Sáenz, “Fluctuations and correlations in wave transport through complex media,” Physica A 386, 625–632 (2007). T. Durduran, R. Choe, W. B. Baker, and A. G. Yodh, “Diffuse optics for tissue monitoring and tomography,” Rep. Prog. Phys. 73, 076701 (2010). J. Bertolotti, E. van Putten, C. Blum, A. Lagendijk, W. Vos, and A. Mosk, “Non-invasive imaging through opaque scattering layers,” Nature 491, 232–234 (2012). O. Katz, P. Heidmann, M. Fink, and S. Gigan, “Non-invasive single-shot imaging through scattering layers and around corners via speckle correlations,” Nat. 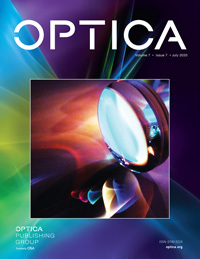 Photonics 8, 784–790 (2014). University of Exeter, Open Research Exeter (ORE), https://doi.org/10.24378/exe.1224 . van Rossum, M. C. W.
Fig. 1. (a) Experimental apparatus. A cw laser illuminates an opaque scattering material and an object hidden behind (insets). An imaging system records the reflected speckle pattern from the surface of the scattering sample and a bucket detector collects the intensity transmitted by the object. (b) Elements 5 and 6 of Group 4 of the resolution target used as object to image in this experiment, highlighted by the pink square in the inset of panel (a). (c) Typical speckle pattern collected in reflection with the imaging system presented. (d) Retrieved image using BGI with 2.27×106 disorder realizations. Fig. 2. (a) Experimental apparatus used for noninvasive BGI. A 450 nm laser is incident on the scattering sample at ≈45°. The resolution target is placed on the back surface of the scattering material, and right behind it we have a fluorescent layer (cerium-doped YAG), acting as a fluorescent object. The bucket detector is in this case also in reflection from the sample, filtering the fluorescent light with a 500 nm long pass filter. (b) Elements 5 and 6 of Group 4 of the resolution target used as the object, and the image retrieved using BGI with 4×106 disorder realizations. (c) Object representing Groups 5, 6, and 7 from the resolution target, and the image retrieved using BGI with 1.5×106 disorder realizations. Fig. 3. (a) Two-dimensional (2D) map and a 1D cross section along Δy=0 of the averaged correlation between the transmitted and reflected speckle patterns. (b) and (c) Expected images obtained by numerically convolving the objects shown in Figs. 2(b) and 2(c) with the correlation function shown in (a). Fig. 4. (a) and (b) Correlation functions between the reflected and transmitted speckle patterns measured 80 μm and 160 μm, respectively, away from the transmission and reflection surfaces. (c) Object separated by a cover slip of 150 μm from the scattering medium and retrieved image using BGI with 5.65×105 disorder realizations.